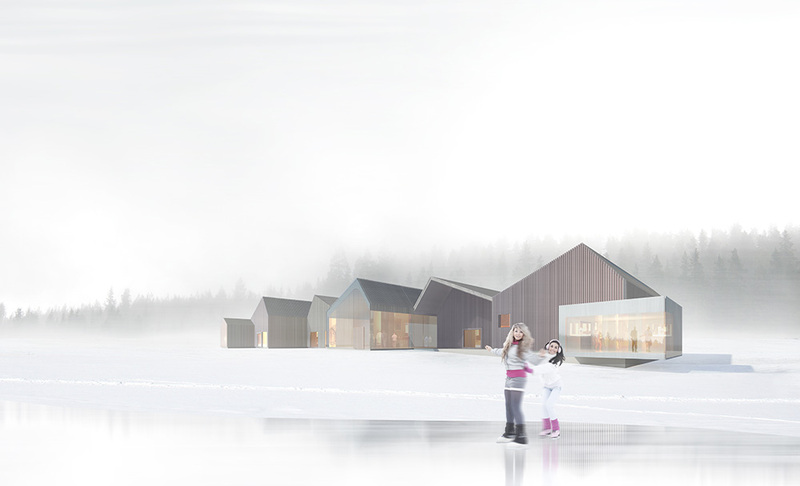 In 2012 OOPEAA, operating under the name Lassila Hirvilammi Architects at the time, won the competition for a new art museum in Vitsaniemi in the Swedish Lapland. 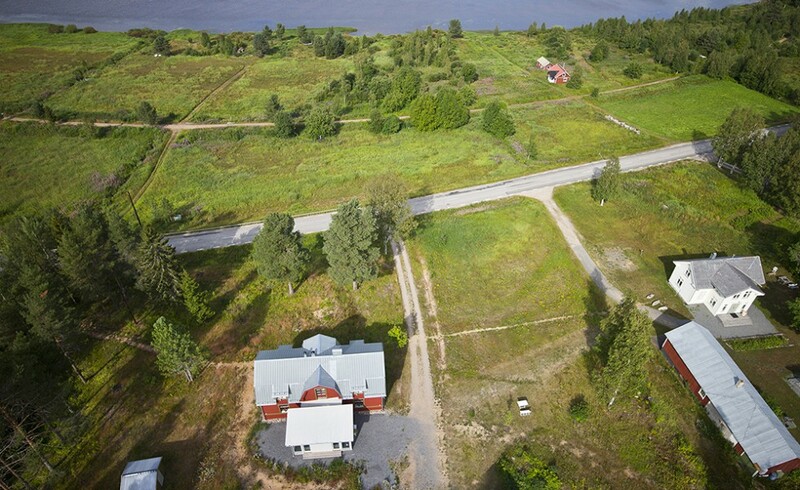 The Konsthall Tornedalen will be located on the beautiful banks of the river Kemijoki that marks the border between Finland and Sweden. 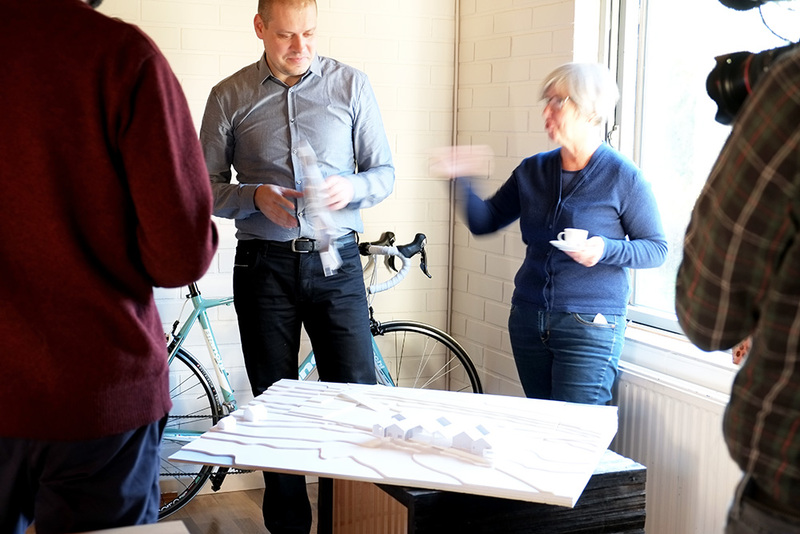 With the design phase now under way, the building is scheduled to be completed in 2016. 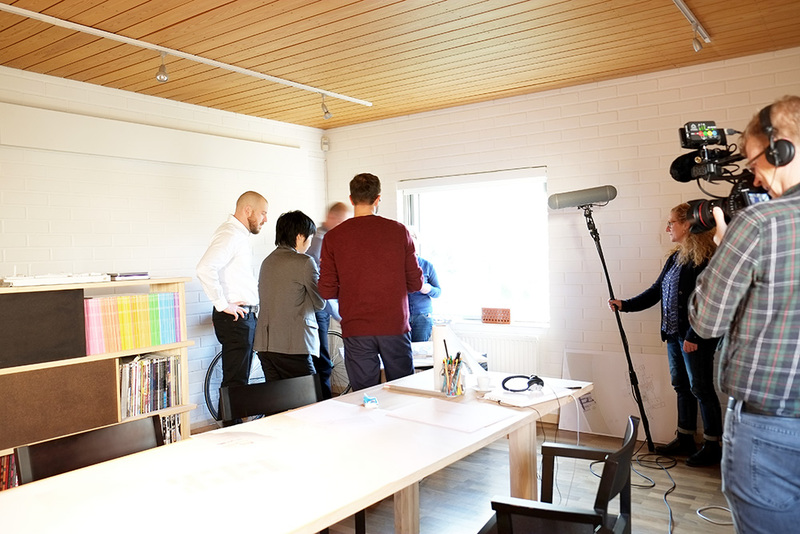 Some days ago Gunhild Stensmyr, the commissioner of the future Konsthall, visited the OOPEAA office in Seinäjoki to brainstorm with the architects about the project and to earnestly kick off the first phase of the design process The meeting was filmed by the Swedish TV, SVT, which is making a documentary on the project. 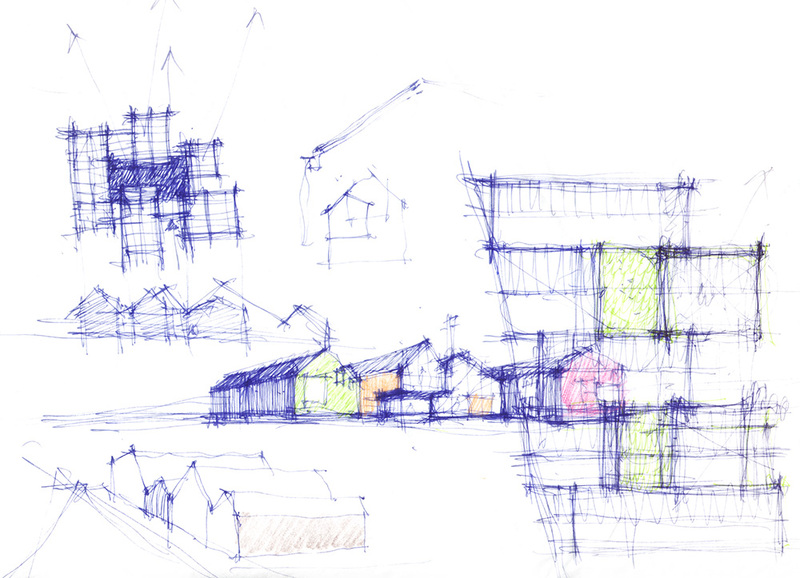 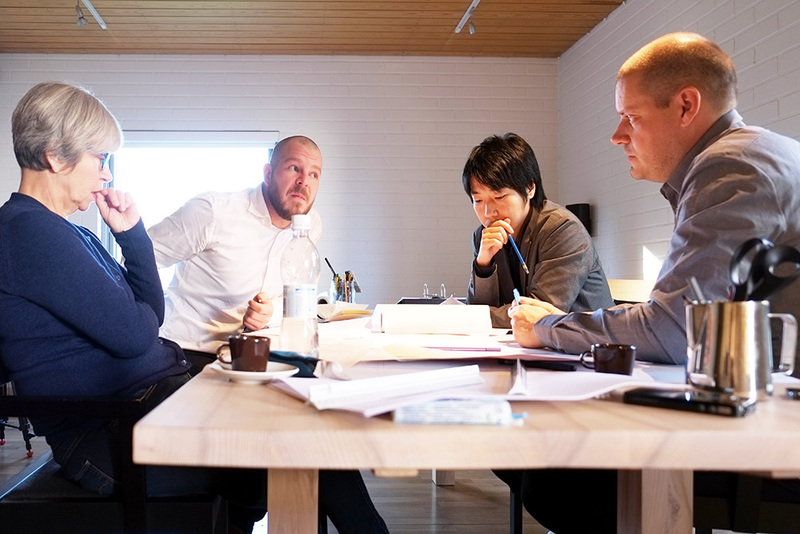 The meeting provided an occasion to discuss more deeply the preliminary designs for the Kunsthalle. 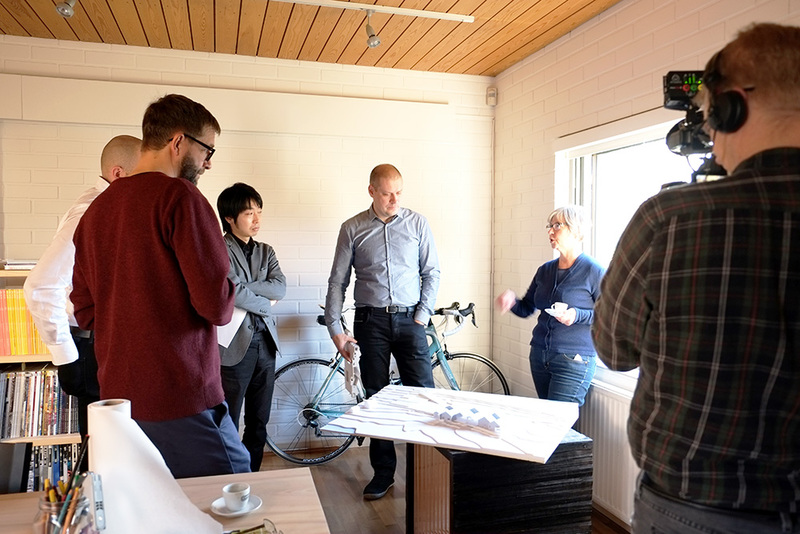 Anssi Lassila, the architect in charge of the project, and Gunhild Stensmyr gathered together with our assisting architects, Ransu Helenius and Kazunori Yamaguchi, and our landscape architecture consultant, Tommi Heinonen from VSU, to study the first models and the preliminary drawings and to discuss technical solutions.